Aparna Jain has a postgraduate degree in hospitality but decided after a year of working in the industry that a world of pasted smiles wasnt for her. She moved to technology and worked in the Internet, tech and telecom space for ten years even the madness of Silicon Valley before moving to media. As marketing head for Cosmopolitan and Good Housekeeping, she was immersed in the lifestyle space. 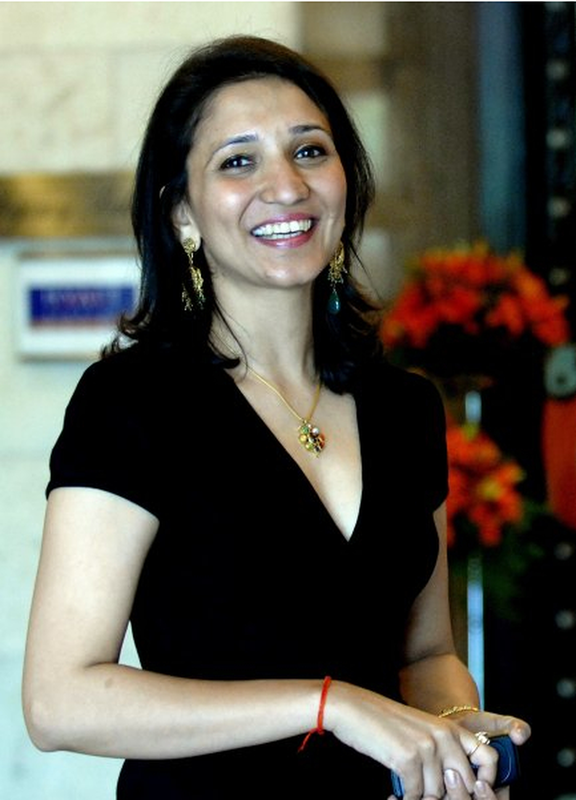 She then joined Tehelka and was part of the core team that launched THiNK. She is India’s only Integral Master Coach and now runs her own marketing consultancy and Integral-based coaching practice called Zebraa Works. She is also currently the Country Manager for Partridge India (A self-publishing company with Penguin Random House) Her leadership coaching practice, she says, is like good food. It allows for meaningful connections and helps navigate through most problems. Because she is an insomniac, she also manages to fit in a love of reading, cello lessons and the occasional cooking up of fancy meals into her days. I am India’s first and only Integral Master Coach. I am someone who constantly needs to learn. Everyday. New things, meet new people, widen my horizons. My career has therefore pretty much been that. If an assignment loses its challenge or learning for me I move on. So in the past 22 years, I have moved from Hotel Management (2 short years) to Technology (10 years) to Media and Publishing (8 years) I now have my own consulting practice called Zebraa Works through which I work with clients on a long term or short term assignment for x numbers of days. I also hope my coaching practice helps me bring meaningful intervention and change. Gosh, it would be difficult to just state challenges. Each day is a different challenge. I face more challenges as a woman than as a professional. We just face so much discrimination on a daily basis. And even harassment. Would you believe I cannot cycle where I live in the morning (even at 6am) because I get followed and harassed. From 14 year old school kids in a neighboring school to guys on motorbikes who follow me? It irks me that we cannot change this mentality easily. We fight it everyday. Even with the “urban educated or literate” in many ways. Tell us about self publishing. What do you envision for the Indian market? Self publishing to me is a great platform for the many authors who have stories to tell, or stuff to write about but its for niche audiences. Whether short stories, poetry, fantasy, astrology, hobby, cookbooks - whatever it is, here is a platform that gives you access to choosing from a range of products, starting with a black and white e-book and going all the way to a 4 colour ebook/ p book replete with distribution and marketing. I think India is a large market and Partridge is geared up to provide a wider more rich range of services for here. For women who have memoirs to share. family recipes, poetry, stories, you can get it all published. I also believe so many kids are writing well, and this is a great gift to give a child to encourage them, a published ebook. Tell us about your coaching practice. Integral Coaching Canada is considered the gold class for coaching training. It follows Ken Wilber’s AQAL model. I spent 2 years qualifying and the few clients I have worked with have seen dramatic change in just a few sessions. I work to clear deliverable goals with an individual and it is my vision to use this coaching intervention to bring change to the country in many ways. As the saying goes, do something scary every day. You will go to more beautiful places than you can imagine.